Just over a third of the new military equipment delivered to the Bundeswehr by manufacturers in 2017 is fit for service, the German defense ministry has revealed in a new report. Of the 97 major pieces of equipment delivered to the armed forces last year, only 38 of them were combat ready, the report says. Berlin is looking to achieve an equipment readiness level of 70 percent, and is most concerned with the state of the Puma and A400M deliveries. Defense ministry parliamentary secretary of state Peter Tauber said the quality of the planes was "increasing," while urging the defense industry to "reach the agreed upon indicators as soon as possible." The operational readiness of the new equipment looks bleak even compared to the overall readiness of the 5,000 pieces of equipment already deployed by the Bundeswehr, according to dpa. A February 2018 report concluded that well over half of the existing equipment is combat ready. Die Linke MP Matthias Hohn criticized the situation surrounding the new equipment, calling defense minister Ursula von der Leyen's decision to "allow this multi-billion dollar bungling by the arms industry at the expense of taxpayers" a "scandal." According to Hohn, the defense minister has not lived up to her own plans of increasing readiness. "Brand new military equipment directly from the production lines of the defense industry doesn't work. It is unacceptable to accept equipment…and pay for it when it doesn't work," the lawmaker stressed. The state of the German military has been the subject of controversy amid regular reports of equipment and supply problems, staff shortages, and complaints of underfunding. Earlier this month, German media reported that none of the newly-developed assault rifles expected to replace the G36 rifle met the army's expectations. 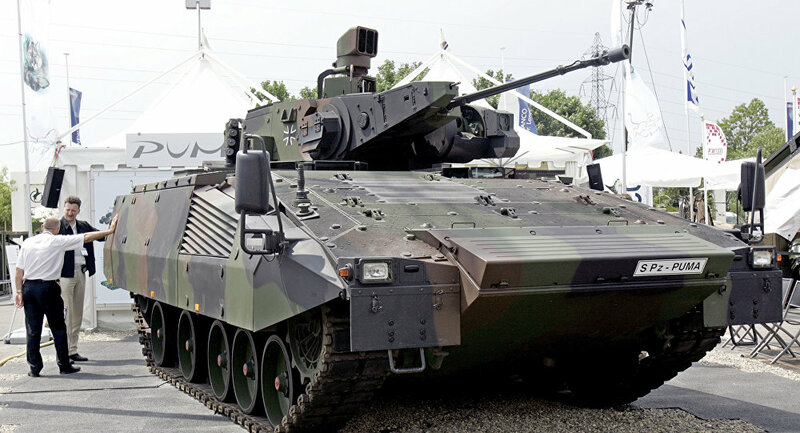 Before that, problems were reported with the military's existing equipment, including its Leopard 2 main battle tanks, Tornado combat jets, submarines, and other equipment, much of which has been described as being in a poor and "outdated" state. Germany spent over $44 billion on defense in 2017, making it the ninth-largest spender overall, according to Stockholm International Peace Research Institute statistics. The proposed 2019 defense budget has set aside $51.2 billion for defense, which is $4.7 billion more than Berlin is slated to spend in 2018. Earlier this year, US President Donald Trump called on Washington's NATO allies to spend 4 percent of GDP on defense, up from the existing 2 percent of GDP standard. German opposition lawmakers called such demands "absolutely crazy," given that there is no major external threat facing Germany. According to Die Linke lawmaker Alexander Neu, only the defense industry and military were interested in more spending, whereas the public is more interested in social welfare spending.